This page should give an overview about the meanings of the nations flags in Civilization V. If you want to contribute, please see this thread. The shield of America represents the shield of the Great Seal of the United States of America. The stripes represent the states that provide mutual support to the upper blue field that represents the chief, or the federal government. 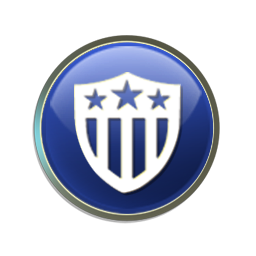 The shield has been depicted throughout history both with and without stars in the blue field. 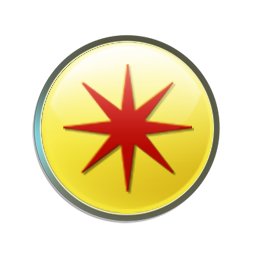 This symbol is also used in pop culture, as the sign on the shield of the Marvel superhero “Captain America”. 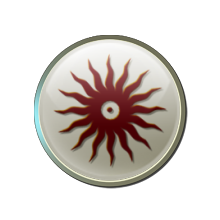 The flag of the Aztecs in Civilization 5 shows a stylized sun, which probably symbolises Tonatiuh, the Aztec god of the sun. Tonatiuh demanded human sacrifices from his followers, to which the Aztecs unique power in Civilization 5 is likely referring. 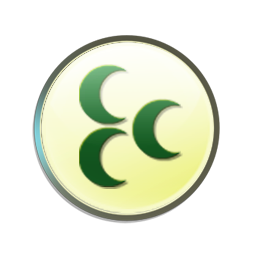 The flag of Arabia in Civilization 5 shows the Star and Crescent. 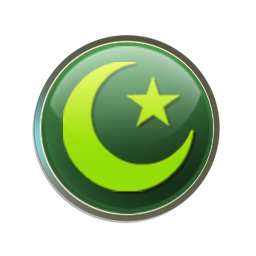 It is not really a symbol for Islam, and might even have roots in earlier cultures, but is widely used in the flags of Islamic states, such as Turkey, Tunisia, Algeria and Pakistan. In the 20th century it has become a symbol of Arab nationalism. The flag of Babylon shows the god Lamassu, which is a protective god, in the later Babylonian culture especially for kings. The image of a flying lion is not special for Babylon, but rather used in the whole Mesopotamian culture, also in Sumeria and Assyria. The Chinese flag shows a stylized dragon head. The creature of a dragon is in most eastern Asian countries, unlike in Europe, a symbol for power and auspiciousness and therefore used as symbol of the Chinese emperor. 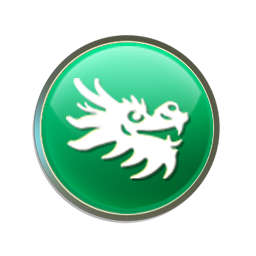 The dragon is also a Chinese zodiac, and it is believed that people who are born under it will also gain the already mentioned traits. Therefore Chinese families might aim to get a new child in the years under this sign (e.g. the year 2012). The symbol on the Danish flag are the horn symbols which are depicted on the Snoldelev Stone. The stone itself is older than the viking era (probably around 800 – 900 AD), but might relate to Viking mythology. To the left you can see the Eye of Horus, the symbol of the goddess Wadjet, the protector of lower Egypt (and later after some restructuring of the Egypt mythology of complete Egypt), and is associated with power and health. There are different interpretations of the symbol and its descent. 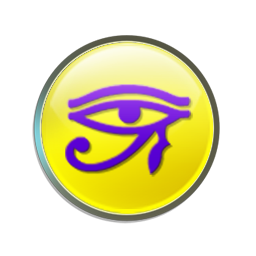 In one part of Egyptian mythology, the god Seth ripped Horus eye out during a fight, and was later healed (therefore the health connection) by the god Thot, and so the symbol is connected to Horus. The English flag shows a crown, the overall known symbol for the monarchy. While the monarchy is not special to England (the English monarchy is neither the oldest worldwide, which would be Japan, nor in Europe, which would be Denmark), the presence of the Queen makes the English royals far more prominent than the other European monarchs (like Denmark or Sweden) and gives us the strongest European connection to royal insignias. More specific for England are the well known English crown jewels, which also incorporate different types of crowns. 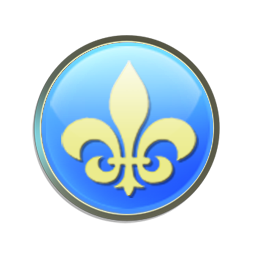 The French symbol shows the Fleur-de-lis, a stylized lily, which has been used in France and in the surrounding areas (e.g. Luxembourg or Spain) for centuries. While not an official symbol of France, it was used for a long time in different coats of arms and for different cities on the French territory. On the German Civ5 flag you can see either (depending on interpretation) the Iron Cross or the black cross. The former one has been the highest medal of honour in the German army, originally invented during Prussian times. The usage of this medal has been abolished due to heavy usage in World War II and a possible reintroduction in 2007 caused a heavy controversy. The latter, the black cross, is the symbol of the Teutonic Knights and the base for the Iron Cross. The German army is today using the Black Cross as official sign. 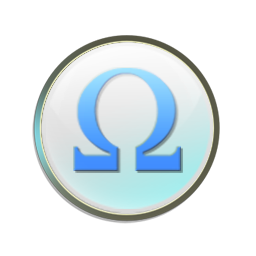 The Greek symbol in Civ5 shows the Omega, the last letter of the Greek alphabet. As last letter it symbolizes normally the end of something (e.g. death) and is not really related to anything specific in Greece. A Greek letter with stronger relation to Greece would be the Lambda, which stands for Lacedemonia, another name for Sparta, which was used as their official sign on e.g. the Spartan shields. On the Incan flag you can see the Chakana (or Inca Cross). The four sides symbolize the four points of the compass, with the hole in the middle representing the hub of the universe, the city of Cuzco (the biggest incan city and the capital in Civ4 and 5). Not visible on the Civ5 interpreation of the symbol are the steps in the surface, which represent the underworld, our normal world and the Incas version of heaven. 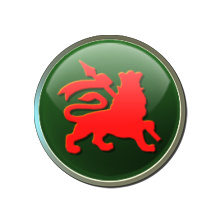 The Indian flag in Civilization 5 shows either the Dharmachakra or its specialized version, the Ashoka Chakra. It is the Buddhist symbol of the wheel of life, and the form with 12 spokes shows the steps which are involved in the Buddhists everlasting rebirth cycle. The Dharmachakra is today used in different coats of arms and the Ashoka Chakra is part of the official Indian flag. The meaning of the Iroquois flag is not totally clear. It resembles a bith Hiawathas Belt, but it certainly shows another motive. The six spikes are probably meant to represent the six tribes in the Iroquois Confederacy (the Mohawk, Oneida, Onondaga, Cayuga, Seneca and Tuscarora). This flag is part of the Oda Clan’s mon. A mon (or kamon) is the Japanese version of a coat of arms or family emblem, and usage of such symbols dates back to the 12th century. The meaning of the Oda kamon is not very clear. It might represent a flowering quince, though there are other theories about it. 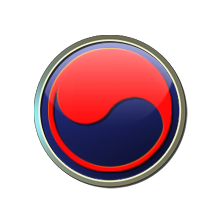 The Korean symbol is the Taegeuk, the symbol on South Koreans national flag. It is derived from Yin & Yang and stands for the hope for happiness and is meant to drive evil spirits away. It was already used in ancient times, dating back to at least 628 AD. The Mongolian flag shows a part of the Soyombo Symbol, which is on Mongolias official flag and coats of arms symbol. The part here is the fire, which stands for wealth and success. The symbol itself is part of an older Mongolian alphabet, which is today not used anymore due to its difficulty. The flag of the Ottomans shows again a symbol derived from the Star and Crescent. The version with the three crescents is meant to show different flags, which were using during the Ottoman time. It most likely shows one which was used by Selim I, who is known for his rapid expansion of the empire and lying the base for the long lasting empire. 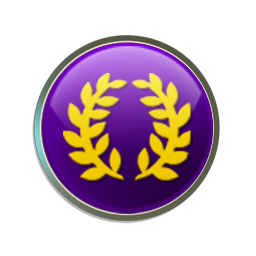 The symbol for the Persian empire in Civilization 5 shows probably two Shamshirs, a sword typical for this region. It was introduced there after the rise of the Islam and the particular symbol might even show the sword of Muhammads son-in-law Ali, the Zulfiqar. Due to all these connections this type of scimitar is also a part of the various symbols which have been used for the Iranian state in its history. While the Persian Empire in Civ5 is rather meant to be the pre-Islamic empire, who fought against Alexander the Great, there’s no strong pre-Islamic connection to this type of sword, besides the Shamshir-e Zomorrodnegar, which comes from a legend and is not exceptionally important for the Persian history. The symbol for Polynesia comes from the Maori and shows the form of a Koru. It symbolizes wealth and growth, and the symbol was often carved into bones or a special sort of jade for official or religious purposes in the Maori culture. On the Roman flag you can see a laurel wreath, a symbol for victory. While it’s not an exclusively Roman symbol, it’s in western cultures strongly connected to it, because Roman emperors like Julius Caesar are often depicted wearing such a wreath. Additionally the laurel wreath is also a symbol for different Greece and Roman gods (Apollon/Jupiter). The Russian flag shows a double-headed eagle, which is a common symbol in various cultures. It’s again not a symbol which is inherently Russian, it was rather introduced from the Byzantines (where it stood for Eastern and Western Roman Empire), after Ivan III of Russia married a Byzantine princess. The eagle itself stands for strength, power and farsightedness, and its first usage dates back to the Greeks, where it was associated to some of their gods. Today the double-headed eagle can be found on the official Russian coat of arms. The flag of Siam might show, like the flag of India, again the Dharmachakra, this time with 8 spokes. This version stands for the Noble Eightfold Path, which are all the steps which a Buddhist follower has to go through to achieve enlightenment. 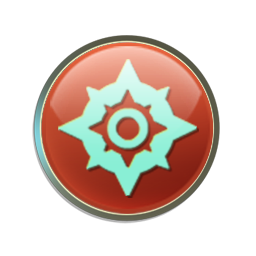 This symbol was probably chosen because the Siamese leader in Civ5, Ramkhamhaeng, introduced Buddhism as official religion in Siam. The Songhai flag does not show like many other flags a coats of arms or a similar heraldic symbol, but rather a cross pattern, which is used on mud cloth, a traditional clothing in the area of Mali. It was in the past as clothing for hunters, the pattern was at that point a camouflage, but today it’s a big export article in Mali and also sold to tourists. 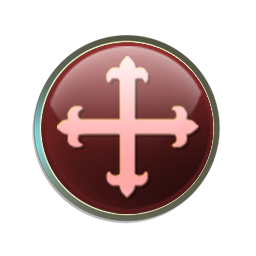 The Spanish symbol in Civilization 5 is probably the Victory Cross, which was carried by King Pelagius of Asturias in a fight against the Muslims. This special fight is historically seen as the begin of the Reconquista, as the start of fighting the Muslims out of Spain. The cross is also depicted on the asturian flag and coat of arms. The Asturian Cross also fits to Isabella I of Castile, leader of Spain in Civ5, because she is seen as having finished the Reconquista. The austrian flag is another instance, where the current coats of arms of a nation has been turned into a civilization symbol (Coats of arms of Austria). 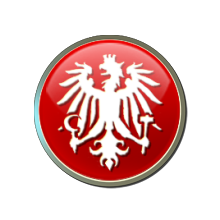 The symbol has been used since Austria’s independence in 1919 (with a break during the annexation through the nazis), and the eagle itself already symbolizes the independence. It’s derived from the Habsburgian symbol, a double headed eagle, and is interpreted as being only the half of this empire (without hungary, the second head). 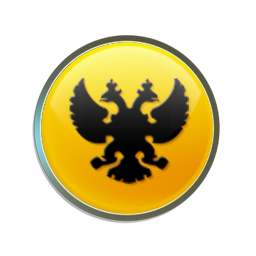 The Habsburgian symbol again is itself derived from the German imperial eagle, which is itself a variation of the roman eagle. The symbols on the republican eagle are the sickle for farmers, the hammer for workers, and a wall crown for the bourgeoisie. 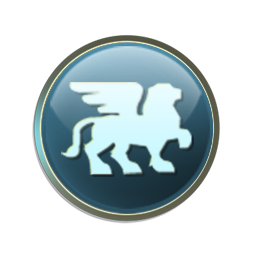 The icon used in Civ 5 misses the broken chains on the eagle’s legs, which stand for freedom of the Nazi occupation after WW2. This flag shows the partriachal cross, a variation of the christian cross. It is a reference to the Byzantine state religion, but the exact meaning of itself, as well as of the parts like the different crossings are not clear. It has been used in the Byzantine empire and it’s origin is probably somewhere in the influence sphere of Byzantium (either Slovakia, Hungary of Moravia). 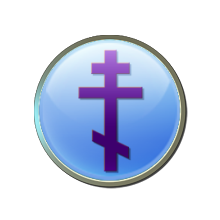 One of the later modifications of this symbol, the orthodox cross, which is used in orthodox churches, is also called “Byzantine Cross”. The connection between the elephant symbol and Carthage is clear: It is an obvious reference to Hannibal Barca, who crossed the Alps with his war elephants, which gave him big advantages in the next years in fighting the romans on their own territory. This fact is so famous that the Carthagians printed the elephants on their own coins. 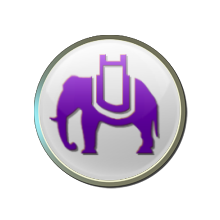 These coins are today an interesting source for biologists to determine what properties the now extinct north african forest elephants (one of the UUs in Civ5) had. The symbol on the celtic flag is a shield knot, a modification of the celtic knot. This type of symbol is widely known (also because it’s not totally specific for the celts, it’s a more universal sign in different cultures), but sadly its exact meaning isn’t. It is believed that it represents a spiritual sign for protection against demons and ghosts. This interpreation fits to the celtic UA in Civilization 5, which gives them a religious bonus. The Ethiopian flag shows the Lion of Judah. 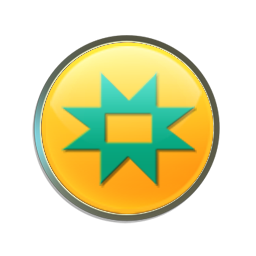 It is an old symbol of the Israelite tribe of Judah, from which the legends say the Ethiopians are descendants from. The lion is also a symbol for Jesus, so it is not only a jewish, but also a christian symbol, which makes it more fitting for the oldest christian empire in Africa. In the Rastafari movement it also represents emperor Haile Selassie I (who is the Ethiopian leader in Civ5), due to the fact that they believe that he is the second coming of Jesus. The flag of the huns shows probably a stylized sun. The sun has always been glorified as a type of god in various cultures and has been associated with positives traits like strength and power, and mostly also in relation with the moon. The huns followed Tengriism, a central asian religion, which had many followers under turkic and mongolic people. In Tengriism, the sun is the son of the main god Tengri and responsible for the creation of the earth. A sun symbol is also used today in the flag of the central asian republic Kyrgyzstan. This flag shows probably the Mayan god Chaac. It is the god of rain, and therefore in general associated with agriculture, growth and fertility, but does not have other, greater associations. The symbol is also not very well choosen, because most Mayan symbols show people/faces in the profile (Overview) and not in the front view, which is rather common in the Aztec culture, e.g. for the Aztec god of the sun, Tonatiuh. The lion is a very general symbol in heraldry, and represents values like strength and valour, or any other traits which are suitable for a king. During the formation of the Netherlands, the lion was used for several of the states in this area, and is still used today in the symbols of the different provinces and in form of the Dutch Republic Lion, which is also a part of their Coats of Arms, which was introduced by Willem I, the leader of the Netherlands in Civ5. 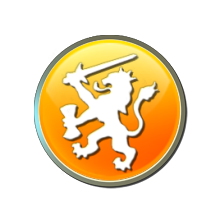 The lion holds in one hand some arrows, which represent the provinces in the Netherlands, and a sword, which is a symbol for their willingness to fight for freedom. 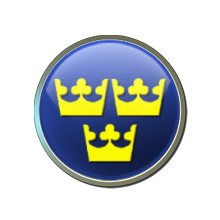 This flag shows the Three Crowns, the current swedish national emblem, which is again featured in the Swedish Coats of Arms. The symbol is relatively popular in Sweden and widely used, e.g. for their embassies or the Swedish ice hockey team. The meaning of the three crowns is not known, but it is speculated that they might somehow represent the connections between the scandinavian countries, especially when they were ruled together, like Denmark, Sweden and Norway under the Kalmar Union in the 13th/14th century. Therefore this symbol is not exclusively used in Sweden, but also in Denmark, e.g. in their Coats of Arms. It has been turned into the national symbol of Sweden after Gustav Vasa terminated Sweden’s membership of the Kalmar Union. 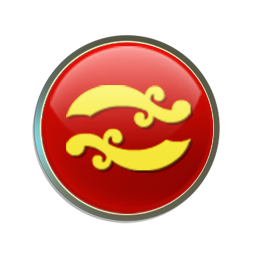 From the 25 Civilizations in Civ5, 13 did have the same or very similar flag in Civilization 4, like the Chinese dragon or the Persian scimitar (two on the Civ5 flag, only one on the Civ4 flag). Four other Civilizations did not appear in the same way in Civ4, to be named: Iroquois, Polynesia, Siam and Songhai. If the closest related Civ4 civilization is taken, no meaningful comparison can be drawn between e.g. the unknown Iroquis’ symbol and the Bison from the Civ4 Native American civ. For the rest, we’ll now take a short look where the differences are and how these are meaningful. The American flag in Civ4 shows a single star on a blue background, which immediately reminds someone of the stars on the Stars And Stripes, therefore representing a single state of the US. It is a common meaning of that symbol and has been used during the american history as part of the confederate flag and also as single flag of different states, the Bonnie Blue Flag, and is also used as military sign for different officers. Therefore this flag can stand for every part of the US and covers so the whole. The Civ5 flag in contrast is here more official as a sign and represents the American democracy. Due to its first usage in 1782 it also covers the whole history and is therefore overall better suited as flag symbol. In Civilization 4 Arabia had the flag of the Arab league. While this flag regionally represents what the Arabians in Civ4 are meant to be, the symbol and organization are pretty new and don’t represent the same time scale like it would be appropriate for a Civ game. 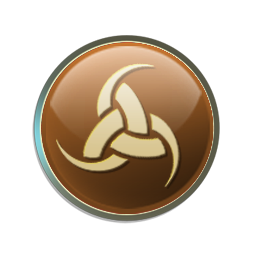 With choosing an islamic symbol for Civ5 the time is way better covered, but less regional appropriate and it also again neglects the pre-Islamic history of that region and its cultural achievements (like e.g. One Thousand and One Nights). 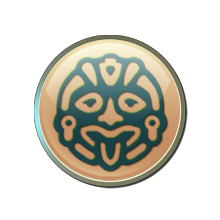 Civ4s symbol for the Aztecs is the Aztec calendar stone. The meaning of this stone is not clear, so there is no interpretation room for the choice in Civ4. 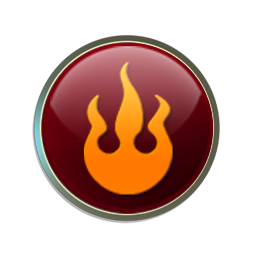 With a more clear symbol with a defined meaning in Civ5 the choice is here quite better. England had in Civ4 its own flag, the St George’s Cross. Unlike the Union Jack, the St George’s Cross represents only England, without Scotland and Northern Ireland. Since civilizations in the Civ games are often not meant to represent defined modern age nations, but rather often all the related empires at the same geographical region or also related nations, this flag does not really fit, especially since also often the United Kingdom is interpreted into the Civ4 representation of England. With a more neutral Crown for Civ5 this issue is not given, but represents the whole UK way better. Greece in terms of the Civilization series is always a problematic civ. It is meant to represent the old Athenian democracies, the Spartan warriors, Alexander the Great and much more…and nowhere this is a real nation, nothing unified. Therefore it seems understandable that it’s tough to choose a symbol. Civ5s “Omega” is not really meaningful, whereas Civ4s Spartan helmet symbol does have its meaning, but only a limited one. 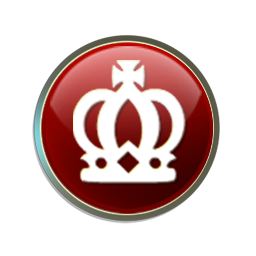 It limits the Civ4 appearance to a single city state, which is compensated through the leaders, which come from the other regions. Neither symbol is totally appropriate, and a good one is still missing. 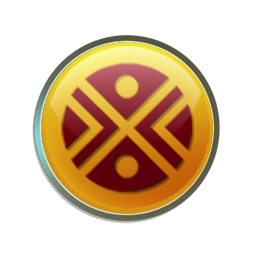 The symbol for the Incas in Civ4 is probably Inti, god of the sun, protector of the Incas. So both Civ part show religious motives, which are common in the whole civilization and both cover a big cultural aspect. So both fit therefore quite good to the theme of the Civilization games and represent the underlying civilization in an appropriate way. 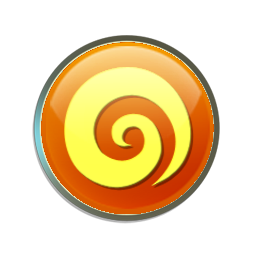 The Civ4 symbol for Japan is the offical flag of Japan, which shows a rising sun and has already been used way back during the history of Japan. 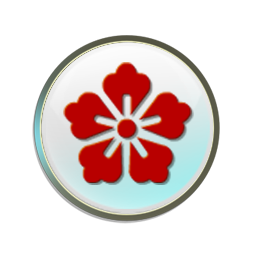 While this symbol is quite well known to represent Japan and good distinguishable from other flags, the Civ5 symbol is in regards to the meaning, covering a longer time frame and another cultural aspect, a bit (but not quite much) better. The spanish flag in Civ4 probably represents the castle from the Flag of Castile, which references to Isabella I, Queen of Castile, the Spanish Queen in Civ4. So this flag represents again, like the English flag, only a part of the whole Civilization and doesn’t cover the whole time frame (like the Arabian flag). In comparison the Asturian flag is geographically seen not better, but it stands for the Spanish expansion and the religious struggle against the Muslim invaders, which is again a major part of the Spanish history. In general the focus of the flag selection has been on covering the whole civilization, which has worked in Civ5 better than in Civ4, but there were no major flaws in the Civ4 selection. Some flags lack a bit a meaning or are unclear, but it works for most. Only Greece seems to be a civ for which finding a good sign is really difficult.